ClearBlue Digital First Response e.p.t. Since at-home pregnancy tests are now convenient, reliable, quick, and affordable, most women prefer this method of testing. When comparing home pregnancy tests, factors such as cost, easy-of-use, and accuracy should be carefully considered. 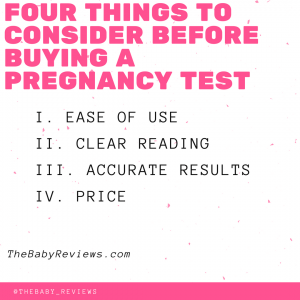 Don’t know which pregnancy tests you should buy? Check out our review of the most common pregnancy tests. As a busy woman, you definitely want a at-home pregnancy test that is easy-to-use. The ideal test is one that offers a handle where you can just point the tip of the test into a cup of your urine. Other easy-to-use products are pregnancy test strips as you simply dip the end of the strip into your collected urine sample. Who has time to guess if they are pregnant or not? The best pregnancy test are ones that offer super clear readings. The new digital tests can be a great choice as they come with a cool digital display that will reveal the words ‘pregnant’ or ‘not pregnant.’ The more sophisticated digital tests even estimate the number of weeks that you have been pregnant. It can’t get any clearer than that! Most pregnancy tests on the market today have been approved by the FDA as being 99 percent accurate. Despite this accuracy among many pregnancy tests, a very small percentage of women will receive a false negative or a false positive test result. The false test result is not necessarily due to a defective product. Some factors contributing to a false test result are certain health conditions, a miscarriage, medication, or blood/protein in the urine. If you are actively trying to conceive, you may be drawn toward the pregnancy test strips since these are typically more affordable. Because the digital pregnancy kits often include more advanced features, they are going to be a tad more expensive (similar to other products like car seats and strollers). Below are our reviews of the leading at-home pregnancy tests, highlighting their unique features. Unique Progress Indicator: While you are waiting for the results of your pregnancy test, you are probably nervous and anxious. Wouldn’t it be great to have something there to comfort you? In order to reassure you that the test is indeed working, this company has created the Smart Countdown, which is basically a unique feature that counts down to your result. Clearly Displayed Results: During emotional times, you need results that are clearly displayed to avoid misinterpretation. Contrary to other tests that would make you interpret lines, this item relays the results in the words ‘pregnant’ or ‘not pregnant.’ A pregnant result is saved to the screen for up to six months so that you will have a chance to share the news with everyone you know. Based on the thousands of online positive reviews, advanced digital features, and great value, we ranked this pregnancy test as #1 (and they are my favorite ovulation predictor test too). Innovative Design: Created with convenience in mind, this pregnancy test has a curved handle to fit comfortably in your hand, one large window to easily interpret the results, and a 50 percent wider test strip to capture urine effectively. Early Detection: The test can identify the pregnancy hormone human chorionic gonadotropin or hCG as early as six days before your missed period. Most pregnancy tests require that you use your first morning period, but this one states that you can it any time of the day. The product’s innovative design was loved by many online reviewers, so this pregnancy test earned #2 on our list. The item also ranks second as a great value for the price. Super Quick Results: After dipping the stick in your urine sample, you will only have to wait three minutes before receiving your results. The test must be read within ten minutes of using to obtain an accurate reading. Many customers loved that this was an inexpensive and simple product without many bells and whistles, so the test made #3 on our review. Enjoying this article? Check out our home paternity test reviews. Distinct Color Zones: These test strips come with distinct color zones so that you will not be confused. If the test is negative, expect to see only one color band in the control zone and none found in the test zone. On the other hand, a positive test will have visible color in both the zones. In rare cases, the color band may be too faint to identity if it’s a positive or negative pregnancy test. Customers love the visible color markers, but some women didn’t mind paying extra for another product that eliminated the guesswork more effectively. No More Guessing: If you have used a pregnancy test before, you understand the frustration of receiving unclear readings. 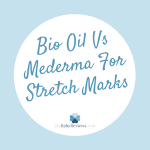 This product takes the guesswork out of the process by having two clear readings. Two lines indicates a positive test whereas one line indicates a negative test. This is a basic test that typically gets the job done, but may be inaccurate at times. We hope that you enjoyed reading our review of popular pregnancy tests. Here are some tips to keep in mind as you are shopping.